LANGUAGE HACKING – HOW DO I DO IT? 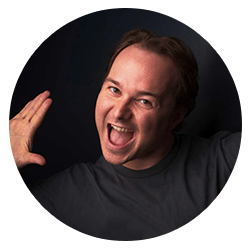 Bestselling author of Fluent in 3 Months, Benny Lewis, has another language tool for those of us learning a second (third, etc.) language. 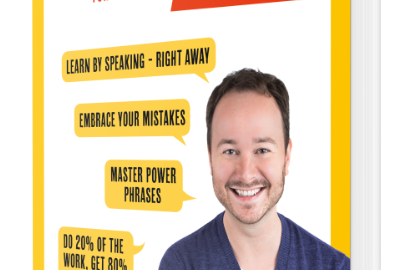 However, while Fluent in 3 Months teaches you tools for learning any language, his new book, Language Hacking: A Conversation Course for Beginners focuses on specific languages. So far, editions are available for those desiring (or already learning) to speak Spanish, French, German, or Italian. Being the language learning junkie I am, I was excited to see what this new program was like. Similar to his “Fluent in 3 Months” online program, he focuses us, the learner, immediately on speaking and holding a conversation. Benny has you speaking before you can begin to doubt yourself or your skills. For me, since moving to Mexico, I have tried a number of different learning tools because I would like to be able to communicate with my neighbors. From the different tools I have used so far, I have found it much easier to read the language than to speak it. I can see a sentence, and in my own time figure out the words and how they fit together into a meaningful sentence. I have a great vocabulary, or at least a budding vocabulary that allows me to fake my way through reading a sentence in a magazine, or deciphering a sign on the wall of the bus station, or reading the label on a can of tuna. But to speak, I freeze. My mind goes blank. That’s why I’m really excited about Benny’s book, as well as his fluency program. He wants us to get talking right from the start! In the first chapter of Benny’s book, he helped me work out some phrases about myself that would likely be things I would say when encountering a new friend. Through the exercises, I was able to construct a script of sentences that I could use in conversation with others as a way of introducing myself. We also learned how to ask similar questions to get responses from those we meet. I have to admit I did reference a Spanish/English dictionary, and also some on-line translation sites to come up with some more interesting sentences to describe myself and my situation. After all, his simplistic overview did not reveal how I could say I was a retired paralegal, or that I play the piano and hope to have a piano studio again soon. I don’t consider myself to be that technologically challenged, but I would suggest you do the video directly from your own YouTube channel. If you haven’t already set one up, this may be something else to investigate so you can maximize your experience with Benny’s book. Once my video was filmed and posted to the appropriate community on Italki, I began receiving chat requests from other users on Italki. That was super exciting for me because up to this point, I had my husband to listen to me, and I’d also made a few feeble attempts to talk with store clerks and such. Benny has established a safe and fun place to meet complete strangers from around the world, communicate with them and make new friends. These were all like-minded individuals, and they wanted me to help them with their English, in exchange for their help with my Spanish. This was a great bonus! I have yet to Skype with any of them, but I was able to use sentences from my script to text with them right there in Italki. I learned that some of my sentences were not totally “correct”, and I appreciate those new friends who helped me with my grammar. I did the same for them in English! Today I jumped into the deep end … so to speak. My husband and I invited a neighbor – who speaks only Spanish – to come over to our home and visit. We held a delightful 3-way conversation for two and a half hours! Sure, we didn’t understand everything she said. And David and I probably sounded a bit like Tarzan sometimes (see link). But here’s the exciting part, we connected with each other, began to build a new friendship, and can hardly wait to get together again! What I really appreciate about Benny is that while he gives great tips on my new language, he isn’t focused on grammar, at least not yet. He’s a genius in this regard because too many times we get caught up on all the rules, and sometimes that can bog us down. Benny knows that it’s best to get us talking, that the grammar and other “rules” will come with practice and experience. I always think of a young child learning to speak. We don’t force rules and grammar down their throats. Instead, we give children encouragement for every word they speak, and they gradually absorb grammar in context. 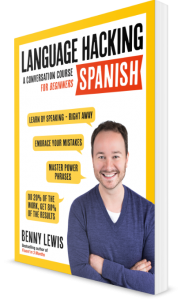 Benny’s book is easy to follow for any language learner. I may have a bit of a head start on someone who has no language background at all, but as I have been enjoying Benny’s book, I can see how someone with absolutely no exposure to their new language can benefit greatly from this book. Quite frankly, I wish this had been my first exposure to Spanish. I find that this tool is so much fun, I look forward to each new lesson. On the other hand, I’m afraid to take it too fast as I want to thoroughly digest each section. As Benny says in his introductory note, Language Hacking isn’t just a course. It’s a new way of thinking about language learning. I love trying new things, and I will continue to try different language learning tools in hopes of being able to hold a conversation with my Mexican neighbors sooner rather than later. You should definitely try this book, Language Hacking: A Conversation Course for Beginners; I give it my highest recommendation. I am confident you will love it as much as I do. I’d love to hear your comments and questions below. And, if you’ve found this helpful, take a moment to share this post on your favorite social media. I find your post intriguing David. For a little while I’ve been trying to learn French because some of my relatives are Canadian, and I’d like to get to know them better. The thought of learning a new language though always seemed daunting. I did Spanish in high school but that didn’t appear to be as difficult an ordeal..perhaps because I was younger then and my brain was more “elastic” (haha!) Whatever it was, I just haven’t quite gotten around to getting on that French horse…so I’m pretty heartened by Benny’s approach–learning a language without getting too hung up on grammar. I’ll definitely be doing some more research on this. I appreciate your review, thanks a lot! Thank you, Joshua! I’m glad you enjoyed the review. Benny’s approach is very user friendly and very affordable. I hope you are able to utilize some of his resources or others I have reviewed on my site! I have experience with French, though many years ago, and I wish you well! Glad to hear you are profiting from Fluent in 3 Months! I don’t do Japanese yet, but our son does, and Kanji can be challenging. I’ll be glad to get back to you when Language Hacking comes out in a Japanese edition.